They say never to judge a book by it's cover but I have to confesss that I often do.This book is one of those. It was sitting facing out and staring at me like a Monty Python's Flying Circus poster. 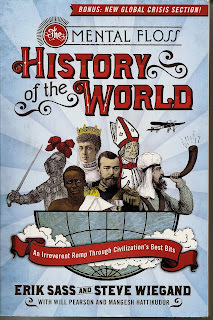 And the words "History of the World" immediately evoked images of the Mel Brooks' film, so I thought, "What's not to like?" This edition is the 2009 soft covered release of the 2008 book of the same name. It has 2 added chapters. The book is arranged chronologically and is literally the type of book you can just pick up and open to any page. Filled with facts the book is not one dimensional. It is ordered in such a way that the average reader will come away with an understanding of where are now, as compared to say, Ben Hur. Or the beginning of using copper. (The Copper Age)By the way, did you know the Copper Age began in the area which is now Wisconsin and Michigan? I didn't. The book even touches upon Human Rights as they have evolved through history. Everything here is so readable that it just may turn you into a history buff! Indexed very simply this is a book that the reader can keep close at hand for quick checks on things like who were the Estrucans? Popes and Religion, all are included. Space Race? No problem. 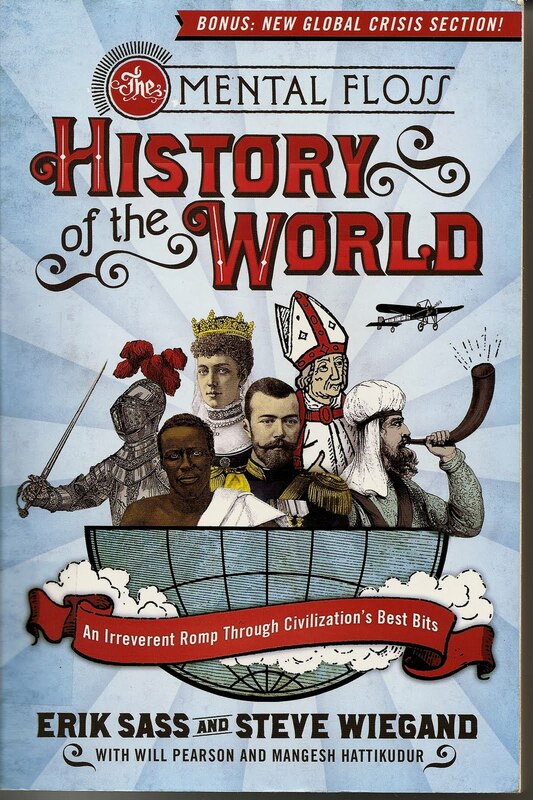 This is a highly entertaining read of the History of the World. And the cover is great!